Mary Whiteacre knew from the first moment she laid eyes on the Mote Marine Laboratory and Aquarium in 2016 that her future was there. “I just remember thinking to myself, one day, I have to work here,” she said. Whiteacre, a rising senior who will graduate with a double major in psychology and wildlife biology in 2019, said her passion for wildlife conservation began with her childhood in Mozambique, Africa. Situated on the East Coast of Africa, across the Mozambique Channel from Madagascar, the country boasts rich coral reefs and vibrant beaches. Even though the country’s marine wildlife is flourishing, Mozambique’s big-animal population, like elephants, has increasingly declined. Her passion followed along with her even as her family made the move when she was nine to central Florida. From there, she always found a way to incorporate her passion for animals in both her education and work. “I did a lot of work with dairy goats,” she admitted, laughing. Even years later as she worked her way through high school, she made every effort to tailor her classes towards her passion for wildlife research and conservation. When it came to college, Whiteacre credits her mother on finding Lees-McRae. She naturally fell into place in the mountains and began her journey towards degrees in psychology and wildlife biology with a concentration in wildlife rehabilitation. In 2016, Mary and several of her classmates and professors took a trip to New Zealand to learn about the native wildlife and volunteer at several rehabilitation centers. The trip provided students hands-on experience working with different exotic animals. Photo courtesy of Sammy Croft '18. Later in her college career during her sophomore seminar class, Mary and her classmates were tasked to contact people in their interested field of study for networking purposes. In that moment, Mary knew exactly who she was going to contact. Just a few short months prior, Mary and her mother took a trip to Mote Marine Laboratory and Aquarium on City Island off the coast of Sarasota, Florida. Mary said she was amazed even before she arrived at Mote. “You have to cross three different bridges to get there,” she said. Founded in 1955, the nearly 11-acre campus houses the aquarium (showcasing approximately 100 different marine species), and more than two-dozen research programs and their respective laboratories. Employing 200 staff members and approximately 1,400 volunteers, put simply, Mote is massive. Mary knew she wanted to work at Mote, but the real question was: which program? 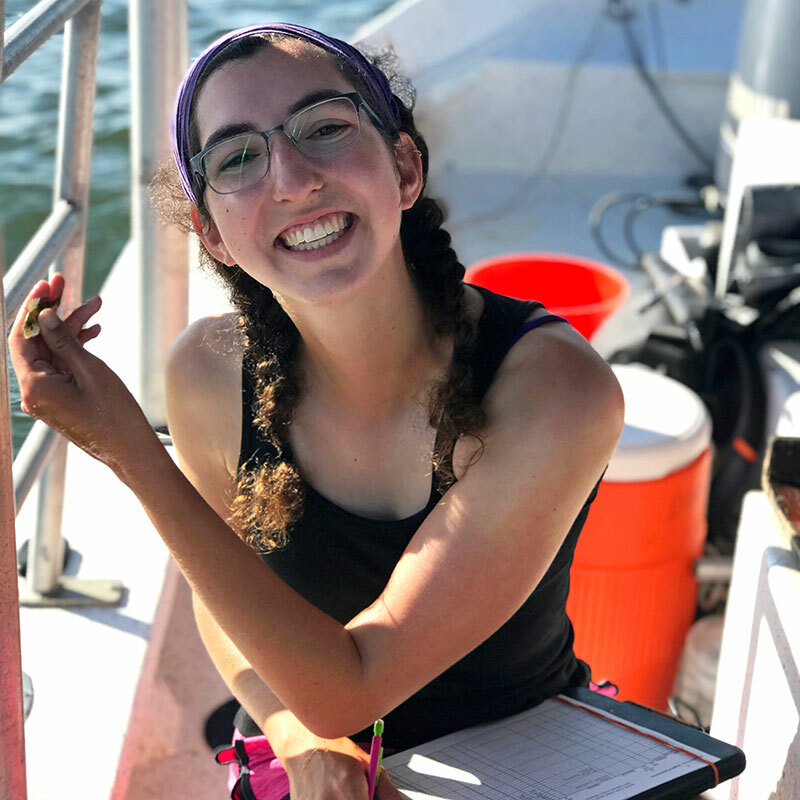 With research internship programs covering everything from coral reef restoration, ocean acidification, and manatee research, her options were wide open. She ultimately decided to reach out to the intern coordinator at the Sarasota Dolphin Research Program. The program, which operates out of the Mote Marine Laboratory in partnership with the Chicago Zoological Society, conducts studies of bottlenose dolphins within the unique long-term natural laboratory of Sarasota Bay, according to the Mote Marine Laboratory website. The bay is a year-round home for more than 160 identifiable resident dolphins, spanning at least five generations. In fact, work done by the Sarasota Dolphin Research Program is the world's longest running study of a wild dolphin population. Whiteacre’s dream of working at Mote was becoming a reality, she just needed a little more experience before applying to the internship—research experience to be exact. So that following year, she began as a research volunteer for the Blue Ridge Parkway nearby to campus. She also took a photography class at the college, which she explained would help later on down the road when tasked with taking pictures of the dolphins and other marine wildlife. So with experience in her pocket, Mary applied to the internship of her dreams—and got it. In the months leading up to the internship this summer, Mary said her emotions were a mixed bag of excitement and nerves. Living close to Sarasota Bay, Mary and her colleagues often spend their long days in the Florida sun out on the water. 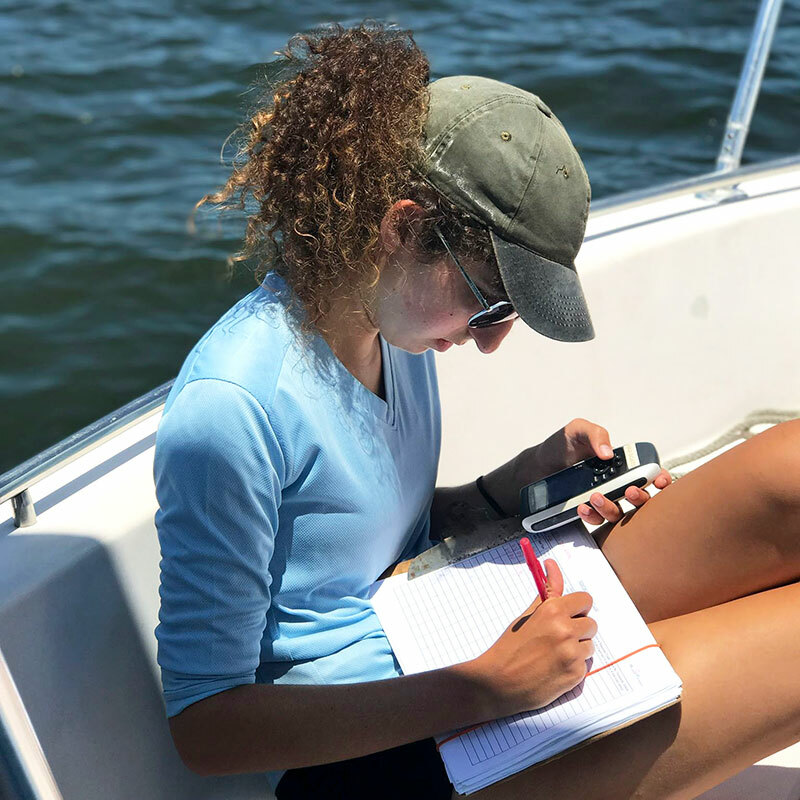 Dividing the bay into three main sections, scientists and interns work diligently to collect surveys, and observe which dolphins are where and who with. “Some of the scientists have been involved with this program for so long that they almost instantly recognize each dolphin,” Mary said. Currently, the research program is carrying out a two-year-long study observing dolphins and their interactions with humans and boats. “It has also shown me the different opportunities for work in my field of study,” she said. Even only a few weeks into the internship, Whiteacre said she’s already gained valuable experience in research, data analysis, and networking. She also thanked many of her professors at Lees-McRae for their influence, expertise, and guidance.